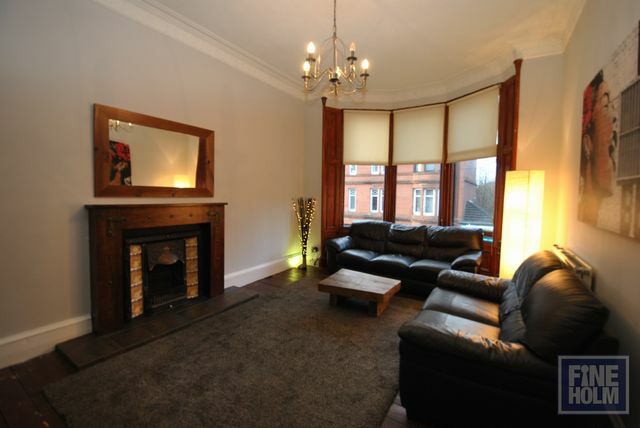 Comfortable 2 bedroom spacious tenement flat in prime Shawlands location positioned on the first floor. This first floor flat comprises entrance hallway with large storage cupboard, internal kitchen which is a good size with washing machine, fridge/freezer, cooker and oven, generous bay windowed living room with feature fireplace (not in use) , bathroom with shower over bath and 2 spacious bedrooms - 1 front facing and 1 rear facing. The property is offered part furnished. Ideal for professional couple or sharers. Communal garden to rear.